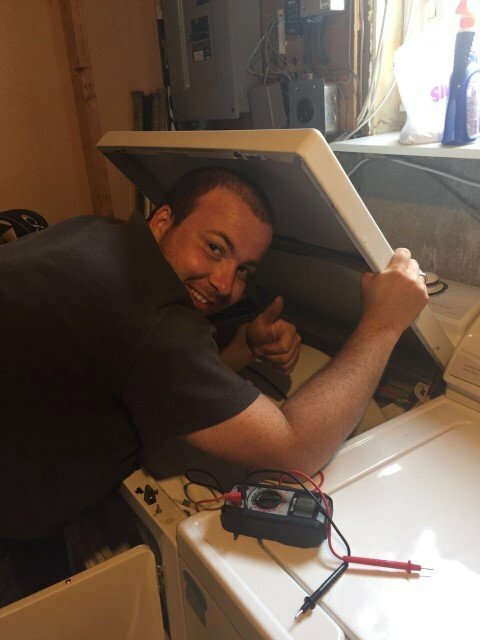 Give us a call to describe your washing machine issue and we will send one of our technicians right away. Most people run into one of three common issues with their washing machine: the machine won’t start, the machine is leaking, or the machine doesn’t finish a cycle properly (often accompanied by an error code). If you’re experiencing one of these problems, here are some tips to consider prior to calling the pros. The machine won’t start: it sounds obvious but begin by unplugging the machine and then plugging it back in. Check to see that there is nothing in the way when closing the door and ensure that the door closes fully. Sometimes simple steps like these will suffice. If not, call our team of experts to help solve the issue. The machine is leaking: firstly, ensure that you allow the current cycle to finish and do not start another cycle. It is important to not over-stuff the machine as some will begin to leak when full past capacity. Ensure that the hoses that connect to the back of the machine are whole and well attached. If leaking persists after following these suggestions, give us a call. The machine doesn’t finish a cycle properly: your machine starts working and then at some point during the cycle stops. Often times it may display an error code on the screen. If this is the case, look at the manual that accompanied your machine or search online for the make and model of your machine plus the error code. Often it is a fixable issue such as instability during the spin cycle, an overfull machine, an insufficient water supply or similar. If your search to decipher your machine’s error code proves fruitless, you can count on the experts at Express Appliance Repair. The experts that we send to your home are all experienced and trained to solve a vast array of washing machine issues. Often the visit will begin with you describing the problem, followed by a diagnostic inspection of the machine. 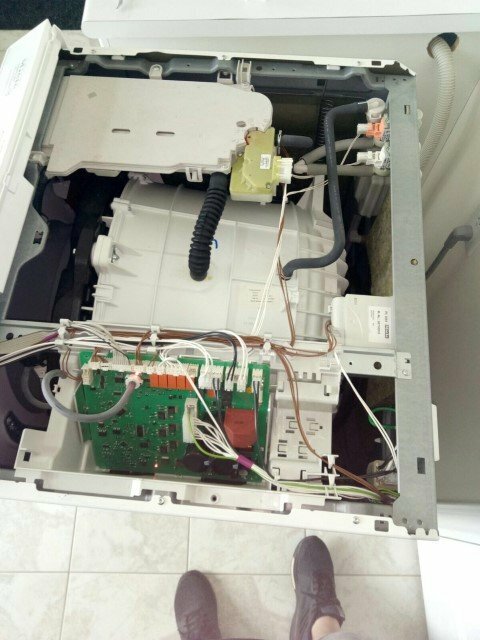 Once we’ve identified the issue, we will explain everything in detail so you have a better understanding of what exactly is causing your washing machine to malfunction. Rest assured that we come equipped with the most common parts needed for washing machine repairs. Chances are if the repair requires a new part, we most likely have it stocked already, meaning we are frequently able to provide same day service without the need for a return visit. 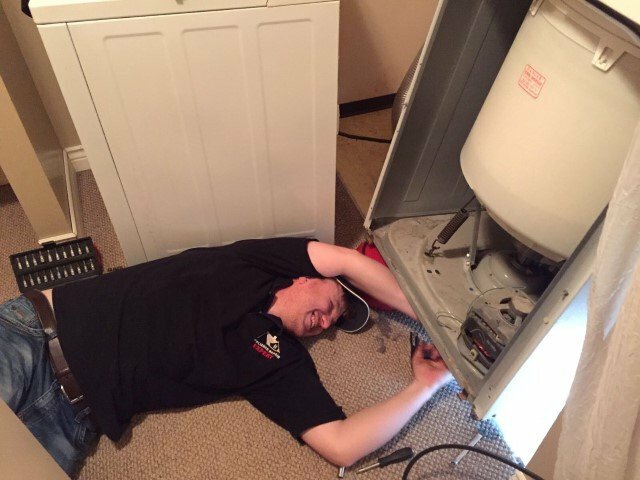 If your washing machine isn’t working properly, the best choice you can make is to call a professional from Express Appliance Repair for fast, reliable and affordable service. What should I be doing to maintain my washer? Check the water hoses. They will need to be changed if you see bulging, cracking, fraying, or leaks. Keep some space between your washer and any walls. Make sure your washer is level. Clean your washer from time to time. Prevent mildew and bad odours. What to do if my washer’s door won’t open? In case the washer door won’t open at the end of the cycle, it is mainly because the lock system is faulty. Most washers have a manual release accessible from under the door lock, so you can try to open the door through that. Why doesn't my washer drain properly? If your washer isn’t draining properly, it is because of a clogged hose or even a clogged pump. It can be pretty common for items to get stuck in your washer’s pumps or hoses. Why is my washer making squeaking noises? The squeaking noise from your washer usually comes from the pump belt. Regular use can wear the belt down and make it frayed and cracked. This creates thumping and squealing noises during the cycle. A washer repair technician can easily replace the pump with a new one. Should I use liquid or powdered detergent? We certainly don’t lack choices when it comes to laundry detergent these days. Whether or not you will use powder or liquid detergent is a matter of your personal preference. When it comes to effectiveness, there are advantages and disadvantages to both. For example, powder detergent is more effective on oily stains while liquid detergent is more effective in lifting out every-day stains. Why is my washer not turning on? If you are dealing with a washer that is not turning on, it is likely because the lid switch is faulty, the start switch or timer is broken, the washer’s motor is not working, or the main control board is broken. 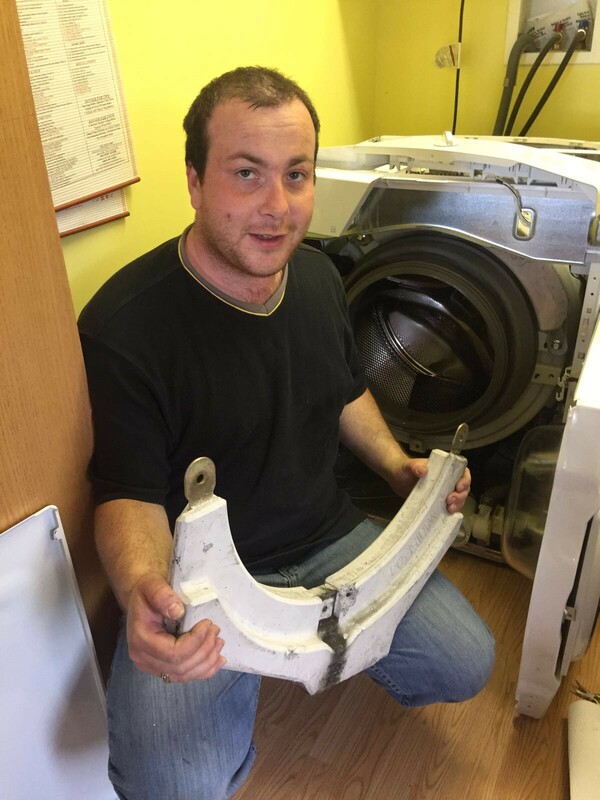 Our experienced washer technicians can quickly repair any of these problems for you. Some cycles don’t work on my washer. Why? Depending on the manufacturer, different washers have different cycle options. One of the most common problems with washer cycles is the hot wash. 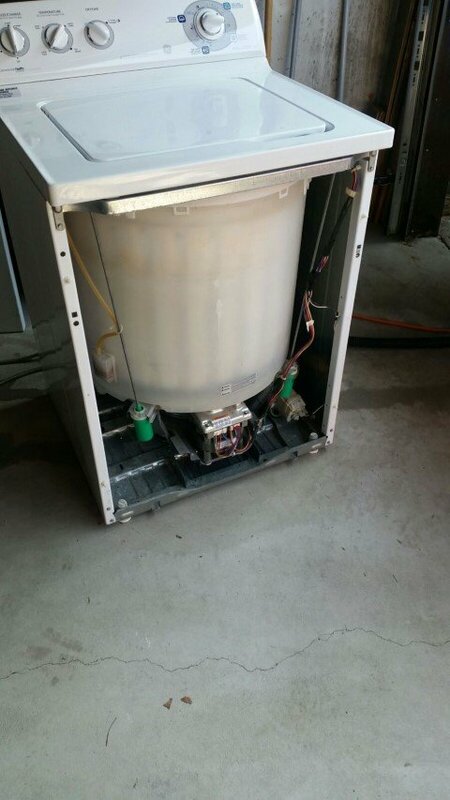 If there is a problem with your water heater, then you will not be able to get the hot wash cycle. If the heater is faulty, you are going to need a washer repair technician to replace it. The most common washer leakage comes from the door, in which case the problem is the door seal. 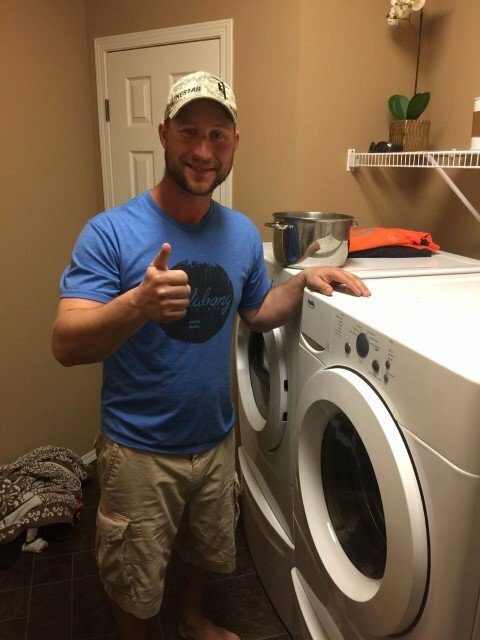 If you find that your washer leaks water during the cycle, it might be best to call a washer repair professional who can easily diagnose and fix the problem. How can I stop my laundry washer from moving? First of all, you want to make sure the washer is placed on level ground. If the machine is not on level ground, the vibrations will make it move across the room. Another thing that can help is attaching some non-vibration pads to the bottom of the washer that will add some grip and reduce the shake. What to do if my washer doesn’t fill up with water properly? 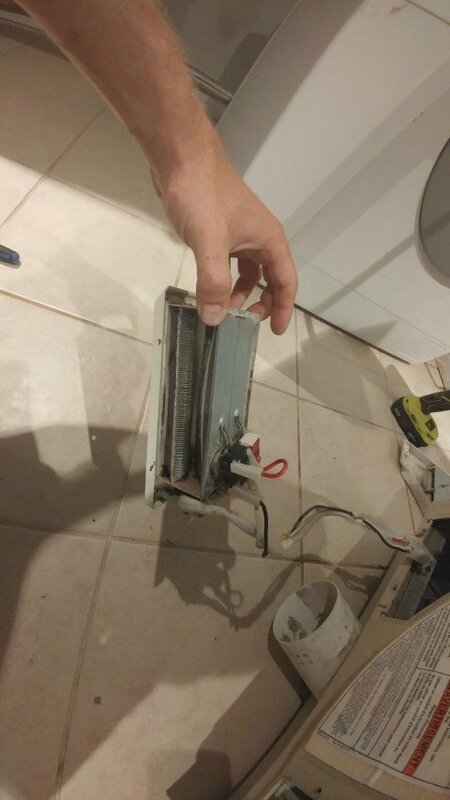 Clogged filters are a common cause of a laundry washer not filling up. You can try to clean the filters and see if this will resolve the issue. 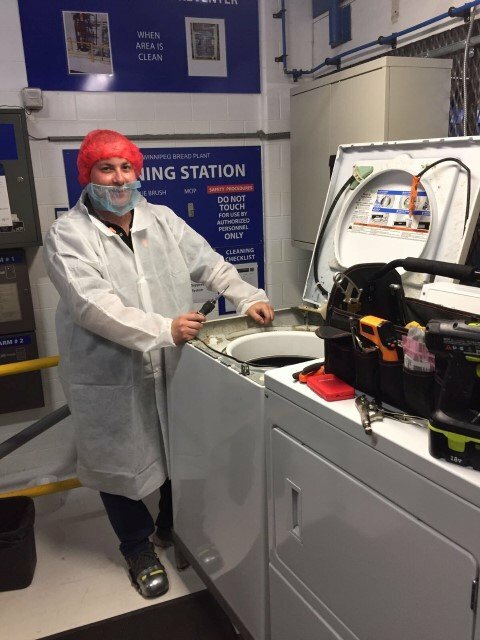 If it doesn’t work, a washer repair technician can discover and fix the issue. Why does my washer smell bad? The most common cause of bad smells in your washing machine is bacteria or mold growing inside. To solve the problem, turn on a cycle with a mixture of vinegar and baking soda which will eliminate any mildew and bacteria growing inside. To prevent this from happening, limit the use of detergent and softener because soap residue is perfect for such bacteria growth. My washer doesn’t drain properly. Why? The most common reason why your washer won’t drain properly is a clogged drain pump or hose. What you can do in this situation is remove the hoses from the pump to unclog them. If the problem persists, call a washer repair technician to help you. Why doesn’t my washer spin properly? When your washer doesn’t spin properly, the problem might be the motor, a broken belt, or the lid switch. A washer repair professional can help you fix these issues very fast. How long will my washer repairs take? Our goal is to arrive within 3 hours in order to assess the problem and come up with a solution. The duration of the repairs to your washer will then depend on the complexity of the problem. We do everything possible to complete all appliance repairs within our first visit. We’ll be out of your hair as fast as possible. What can I do to help speed up repairs on my washer? Avoid trying to determine the cause of the problem yourself. If you start removing parts, you will only make things more difficult for the repair team. Leave your washing machine as is and move any possible obstructions out of the way. Is the work on my washer guaranteed? Yes, we offer washer repair guarantees for your peace of mind. What if a load of laundry is stuck inside my washer? If you have laundry still in your machine and you are unable to open the door, then it’s best to leave it as is. During the repair process, our technicians will work to get the door open and resolve the problem that has occurred. Don’t worry though, we always ensure to handle all personal property to care and caution.